Applications for ‘The Holocaust in the Curriculum’ module are now open. The module will run fully online from Monday 29th April to Wednesday 31st July 2019 with a week’s half-term break and assignment submission in September 2019. The module is fully funded*, delivered online and upon successful completion you will receive 30 credits at Master’s level. For those applying via the fully funded route (external students) weight is given to practicing teachers. 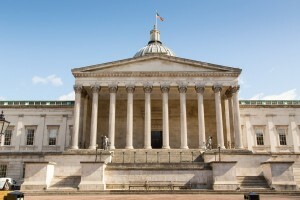 Applicants are also required to meet UCL’s English language entry requirements. We accept teachers taking this course as a one-off module as well as those currently completing a Masters-level degree or diploma at UCL who want to take it as one of their module option choices. Please complete the application form and e-mail it to holocaust@ucl.ac.uk, before Wednesday 20th March 2019. We have created a short application guide and a longer FAQ to help ensure you fully address the entry requirements in the right sections of the application form. Good luck with your applications!